It is not only professionals in the workplace that deal with contracts but also students. It is good practice to expose students to these documents at a young age so they quickly understand the concept of contract law. 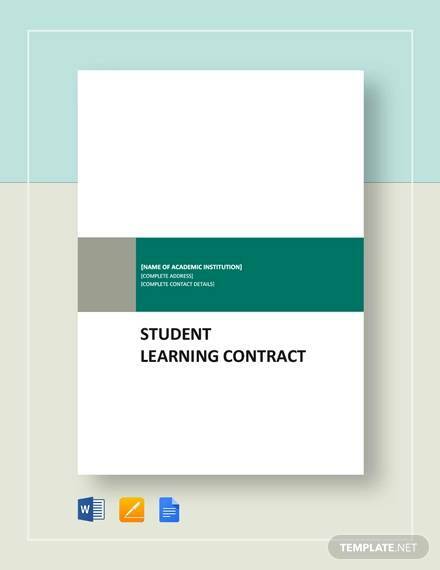 Some contracts students often face include student loan contracts, rental contracts, student learning contracts, etc. 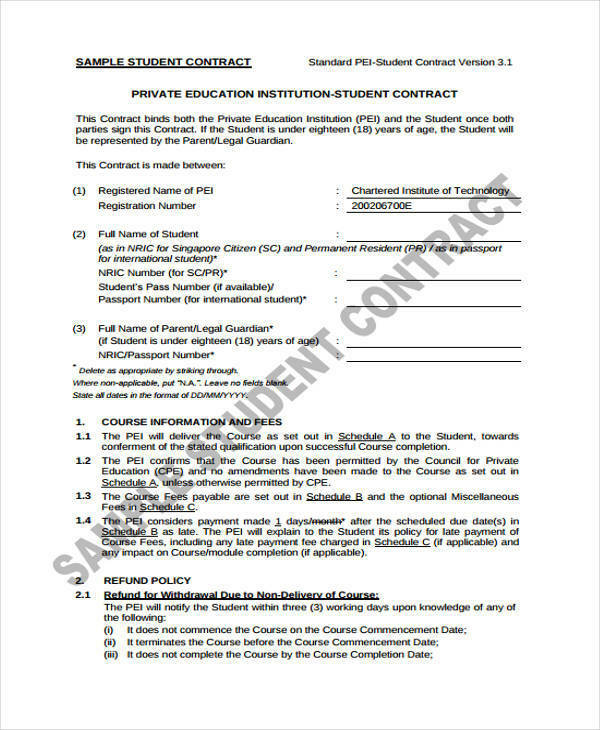 This article offers the different types of contracts a student will have to face in their educational life. The contract templates we provide contain all the essential elements of a contract so you won’t have to worry about them legal-wise. Take a look at them below. What Is a Student Contract? 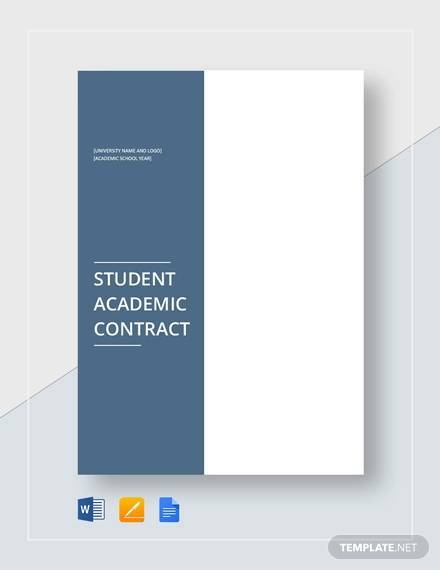 A student agreement contract provides all the necessary terms on student conduct for all the transactions they enter to in the school. 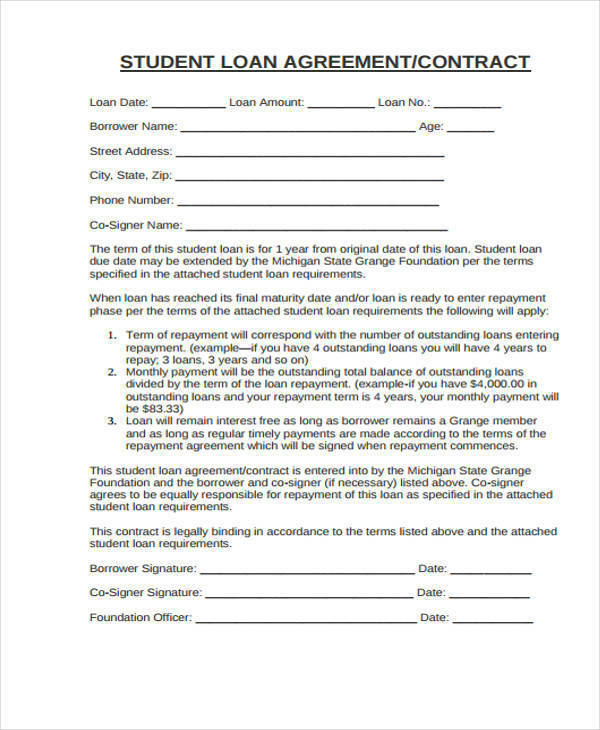 This type of contract covers a wide range of transactions that every students does, including getting a loan, renting a book, doing an experiment, and so on. 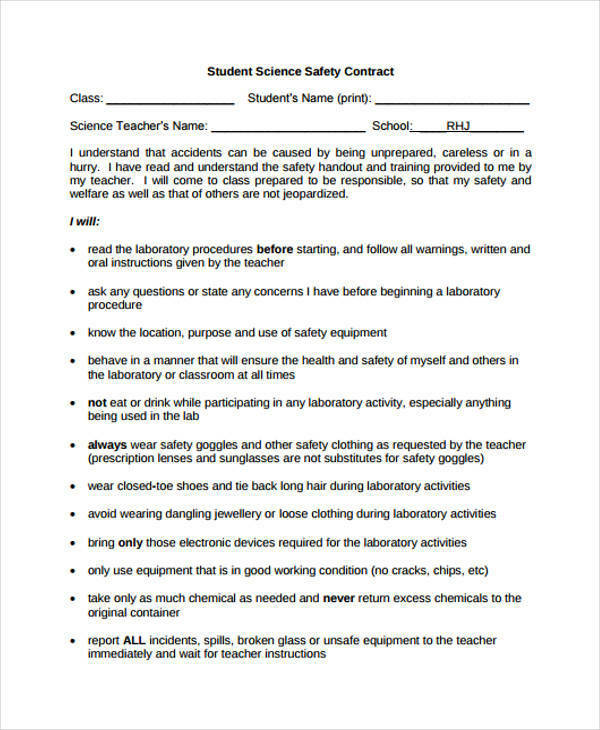 When doing an experiment, for example, students would need to sign a student safety contract that outlines the safety guidelines and all necessary provisions. Having a contract protects both the student and the school and encourages proper conduct from both. 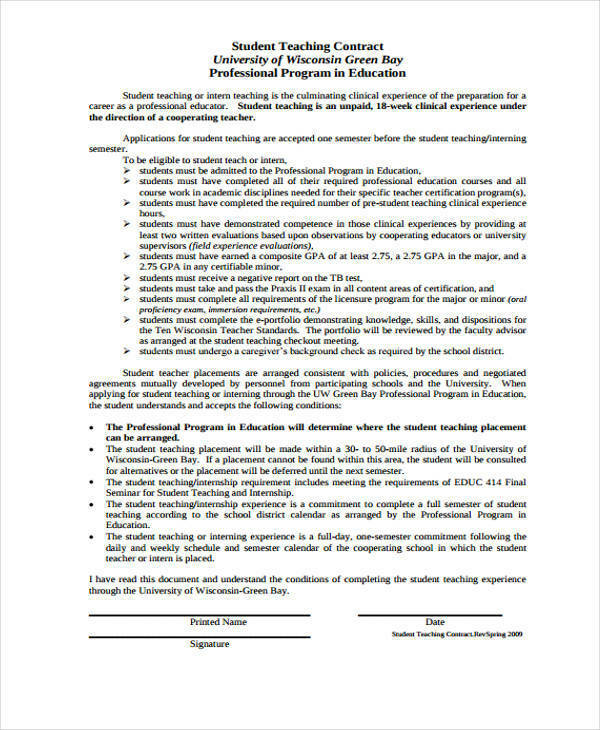 You can also check out these Teacher Agreement Contract samples. When you have tried writing any kind contract before, writing a student contract should come easy. Writing a student’s contract is very much like writing any other contract in which all the necessary provisions needed to make it legal need to be present in one. 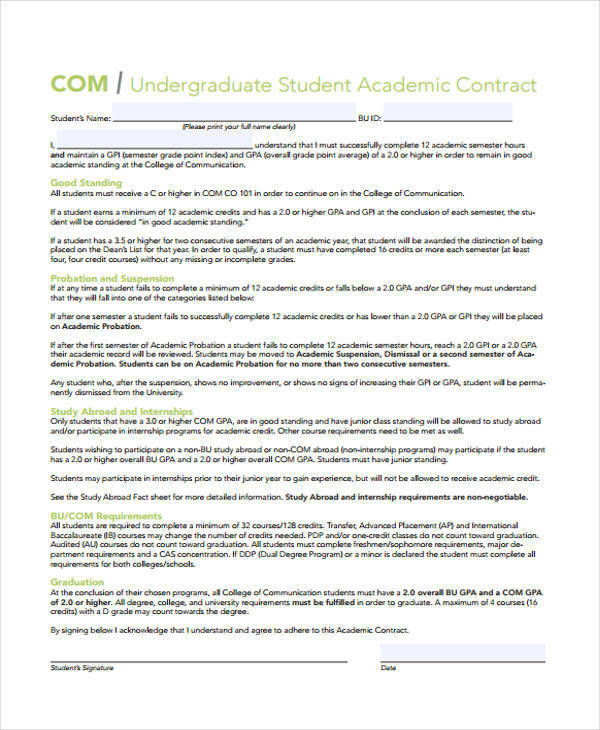 Below is the process you need to follow in making a student contract. Write down the parties involved. You must clearly state who the parties involved in the contract are. 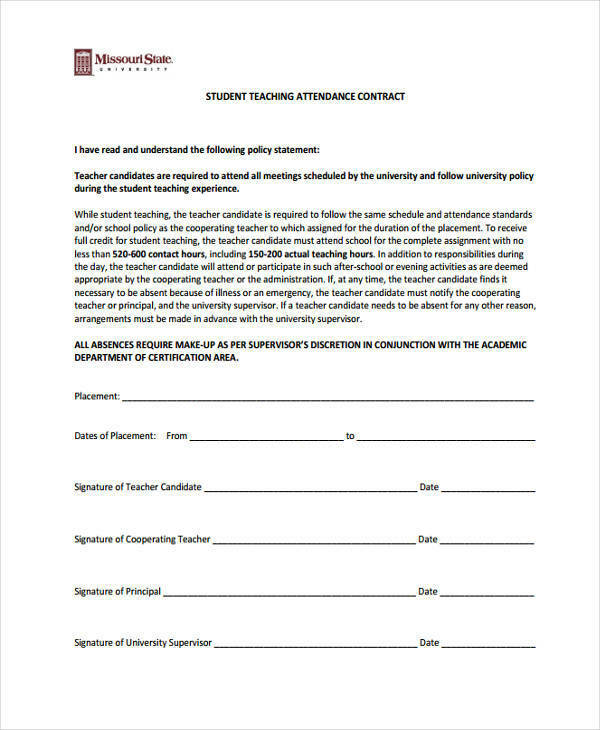 It could be a student-teacher, student-school, or student-housing department contract. 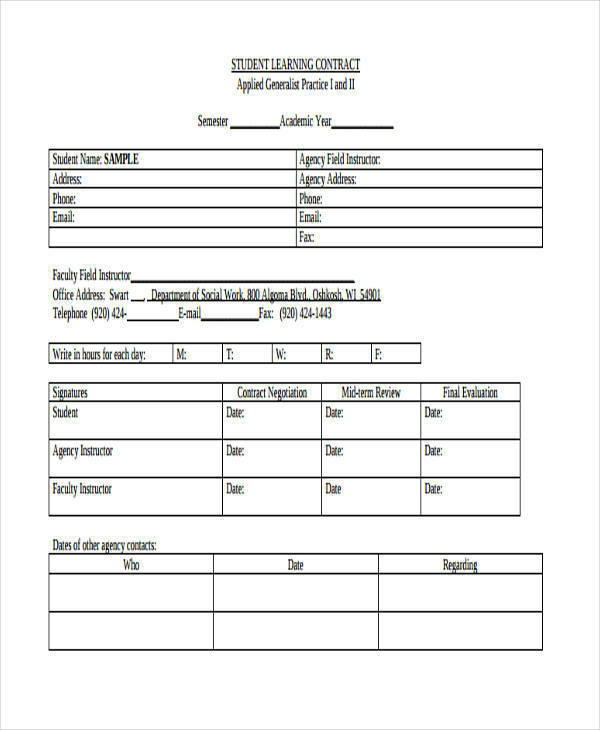 Write down the necessary terms of the contract. The terms of the contract need to be written clearly. 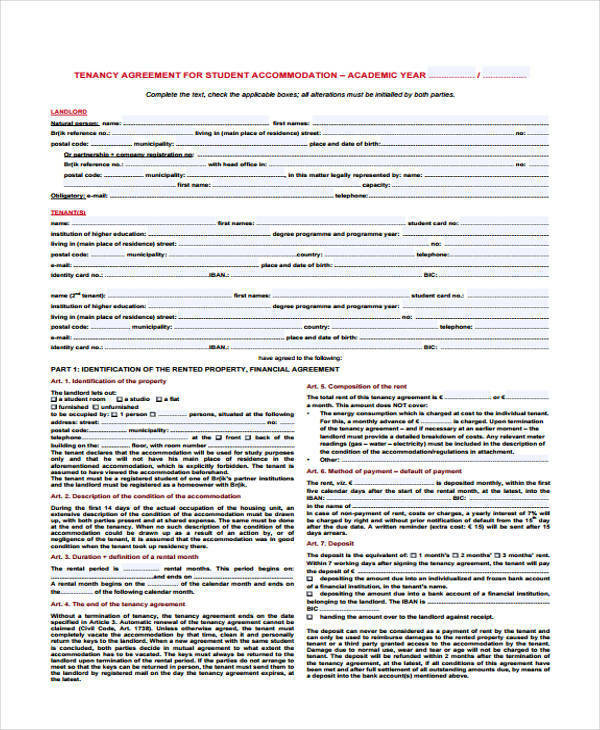 Some of the contents found include rules of the school, payment terms (if applicable), accommodation, facilities use, withdrawal or cancellation, health and safety, etc. Write down the termination clause. Specify what would constitute the termination of the contract. Provide a space for signatures and the date. Students also deal with contracts. In school, there are a lot of instances when students would need to face them. 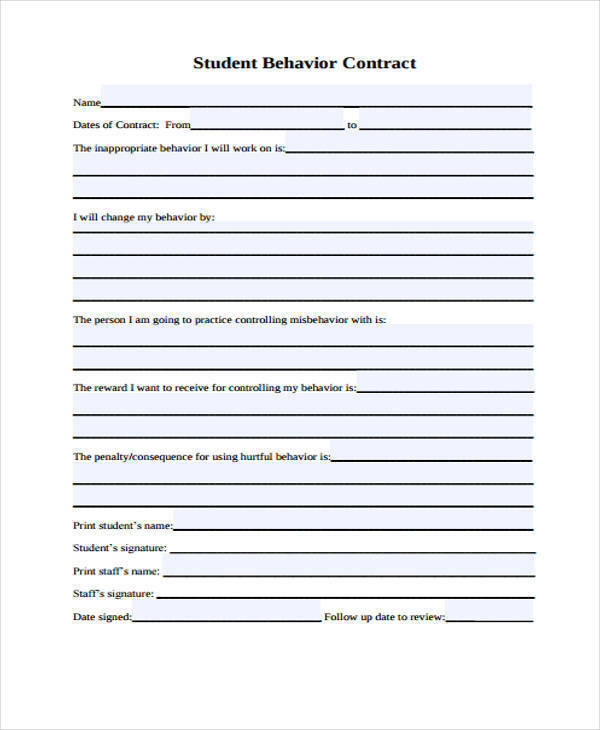 This article offers all the contracts students use, from student behavior contracts to student attendance contracts, that you can use. 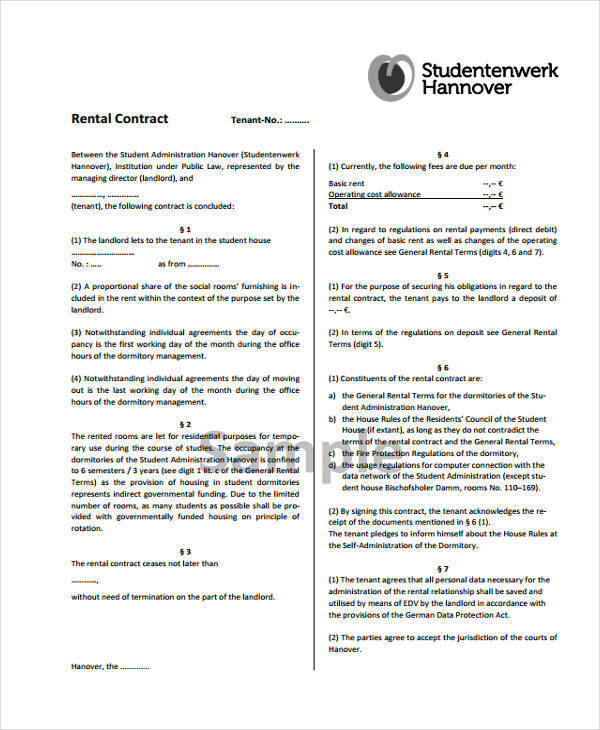 Take a look at these Freelance Agreement Contract and House Rent Contract also.